EDF has been advocating for states to establish On-Bill Repayment (OBR) programs that allow property owners and tenants to finance clean energy retrofits directly through their utility bills with no upfront cost. California and Connecticut are working to establish OBR programs, but Hawaii is expected to beat them to the punch. Hawaii’s program is critical as electric rates are about double the average of mainland states and most electricity has historically been generated with dirty, expensive oil. Given the potential of OBR to lower electricity bills, reduce that state’s carbon footprint, and expand job growth in the clean energy sector, EDF has been working closely with Hawaii and multiple private sector investors for the past year to develop their OBR program. Once formally launched later this spring, Hawaii’s program will be one of only two in the nation, preceded by New York who enacted their program in 2011. Here’s how OBR works: Banks and other private investors team up with contractors and project developers to create competitive options for installing energy efficiency or renewable generation projects. Linking the repayment to the customer’s utility bill is expected to lower financing costs, increase availability of credit for projects that might not otherwise qualify, and allow owners to finance long payback projects without fear of needing to refinance if they sell the property. EDF estimates that a national OBR program could generate $87.4 billion of investment in energy efficiency projects over the next 12 years, which would increase employment job-years by 615,000 (a job-year is a full-time job that lasts for one year). 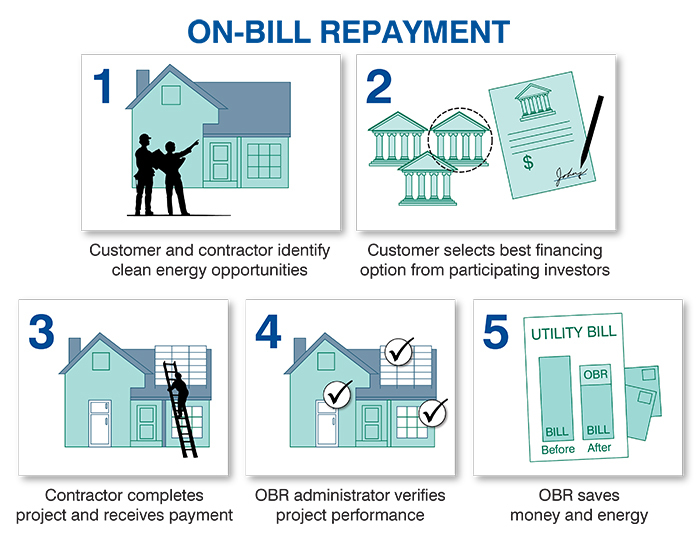 Since the program can be structured with financing entirely from private lenders and investors, OBR can be implemented at no cost to ratepayers or taxpayers. 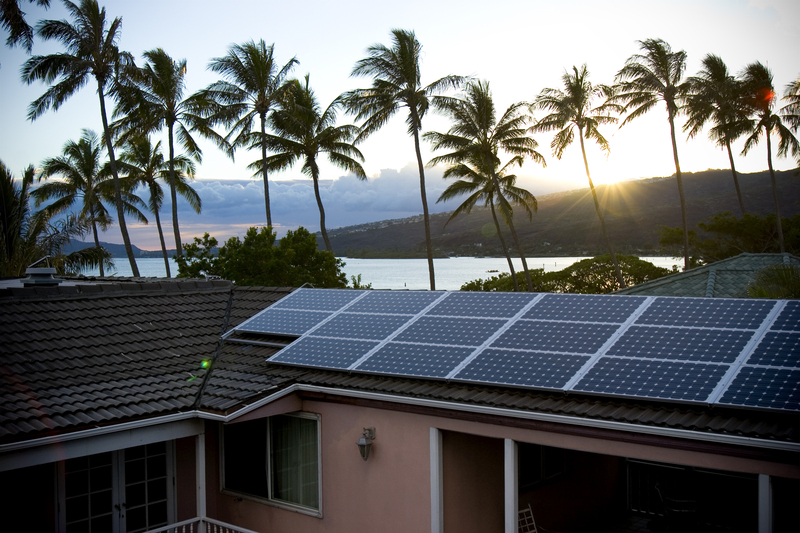 One of Hawaii’s primary objectives will be to provide renters and lower income residents access to financing for clean energy retrofits to help them cope with expensive utility bills. The state’s OBR program is expected to have a soft launch near the end of March and will initially be focused on solar hot water for residential and small business customers. With abundant sunshine and no natural gas, solar hot water is a project that usually provides significant financial savings and environmental benefits in Hawaii. The program is expected to roll out other measures in the following months and eventually expand to include large commercial properties. EDF has been in conversations with a wide range of project developers and investors and is optimistic that Hawaii’s OBR program can have a strong launch. Furthermore, we are hopeful that EDF can help the state export this exciting program back to the mainland. Want to learn more about this topic? 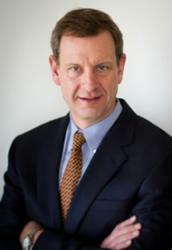 Listen to Brad Copithorne talk about Hawaii’s on-bill repayment program in an interview with Hawaii Public Radio. This entry was posted in Clean Energy, Energy Efficiency, Energy Financing, Jobs, On-bill repayment, Renewable Energy, Utility Business Models and tagged Hawaii. Bookmark the permalink. Both comments and trackbacks are currently closed.